Scott strives to achieve optimal results for all his clients in the complicated area of labor and employment law. Scott primarily focuses on assisting employers traverse the difficult path towards achieving compliance with state and federal law. One of the most common mistakes that employers make is failing to establish and regularly review straight-forward policies. Scott works with clients to develop practices and policies that avoid many of the common pitfalls that trap employers. Litigation in some circumstances, however, is inevitable. When the situation arises, Scott is prepared to counsel and represent individuals, businesses, not-for-profit corporations, school districts and municipal entities in matters that range from minor civil proceedings to complex class actions. Scott is admitted to practice in all New York State Courts, as well as the United States Supreme Court. Scott also regularly practices before administrative agencies including the: New York State Division of Human Rights; Equal Employment Opportunity Commission; New York State Department of Taxation and Finance; New York State Workers’ Compensation Board; National Labor Relations Board; Public Employees Review Board; United States Education Department; United States Department of Labor; and the Occupational Safety Health Commission. He has successfully represented clients in matters involving discrimination and equal employment opportunity under laws such as Title VII, Title IX, the Americans With Disabilities Act, the Age Discrimination in Employment Act, and the Family and Medical Leave Act. Mr. Quesnel also has extensive experience representing clients in wage and hour disputes under the Fair Labor Standards Act and New York State Labor Law. 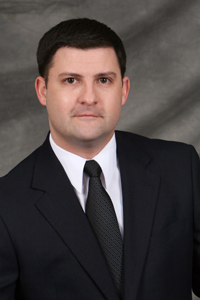 Utilizing his five years of experience working for the New York State Department of Labor, Mr. Quesnel has successfully represented clients in matters involving the Department of Labor’s Division of Labor Standards; Unemployment Insurance Division Division of Safety and Health; Bureau of Public Work; and Asbestos Control Bureau. In addition to policy development and civil litigation, Mr. Quesnel is certified as a Senior Professional in Human Resources and as such is available to provide a broad range of employment law and human resource training to employers, human resource professionals and employees, and is available to assist employers in performing workplace investigations. Recently, Mr. Quesnel has seen his practice extend to include employers from Massachusetts, Texas, Thailand, Great Britain and Italy.